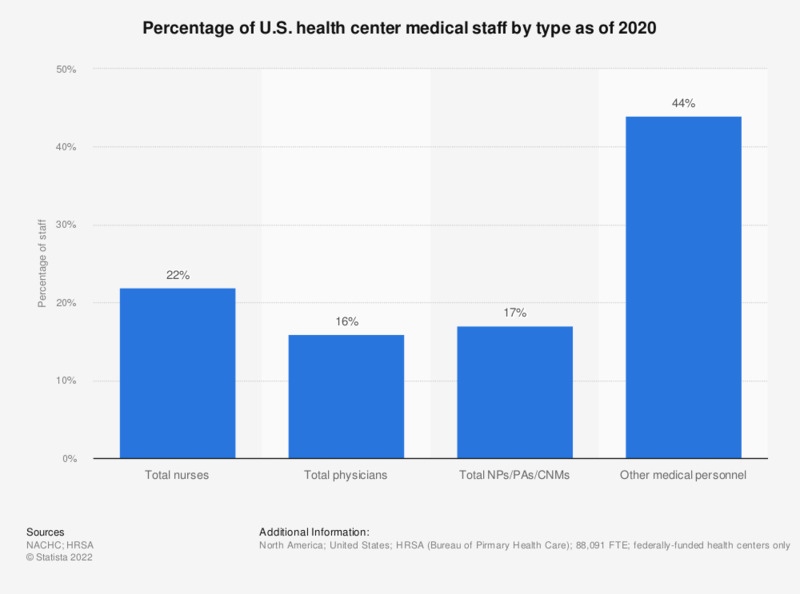 This statistic depicts the percentage of U.S. federal community health center medical staff by type of occupation, as of 2016. According to the data, 23 percent of all medical staff worked as nurses. Total physicians excludes psychiatrists and optometrists. NP/PA/CNM stands for nurse practitioners, physician assistants, and certified nurse midwives. Other medical personnel include, but are not limited to, medical assistants, nurses' aids, laboratory personnel and x-ray personnel.